Feeling a bit tight? Niggly back pain? Need a right good stretch? Then this is made for you! 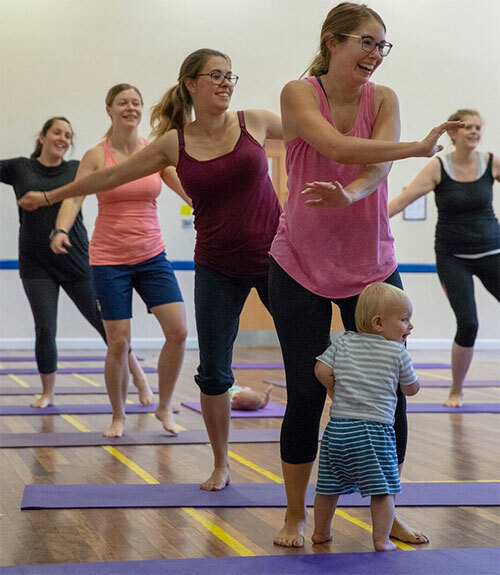 A Fitness Pilates class for pre and postnatal women, improve your posture, your core strength and work on muscular imbalances to make day to day tasks easier. If everything just feels like hard work, all the lifting and carrying is not helping, alongside the feeding schedule then this mix of exercises will really help. A 60 minute class based on the original Pilates programme from Joseph Pilates. Specific exercises, tailored to pre and postnatal women, to enhance strength, balance and control as well as flexibility and joint mobility. As this is all for Mums and Mums to be, specific movements are chosen for tummy muscles, the back, posture and pelvic floor. Each class you will join in with – joint warm up, muscle warm up, standing sequences of movement (heartraisers! ), floor based exercises, pelvic floor work, flexibility and stretching. Ladies with abdominal separation, weakened pelvic floor and those receiving treatment from physiotherapists are able to join this class, as well as those that feel they need lengthening out! Remember the ‘slinky’ that you used to watch go down the stairs as a child – at the moment you are all coiled up, on the top step .... after this class you will all stretched out, feeling 6 inches taller! Pre and Postnatal Pilates - Monday 11am and Friday 10am Wootton Community Centre OX13 6DA. Tuesday 10.30am Summertown, OX2 7DP and Thursday 10.00am The Beacon Wantage, OX12 9BX. Pilates4ALL - Monday 8pm The Manor Prep School, OX13 6LN. Classes run in blocks of approx. 6 weeks. £7.50 per session.